There is widespread coverage in print and broadcast today of the Home Secretary’s speech on fighting crime. The Guardian reports that the Home Secretary called for a shift in the Government’s mindset to deal with the “national emergency” of youth on Britain’s streets. Branded as his “first major speech on crime” coverage highlights that the Home Secretary promised better co-ordination in response to knife attacks. The Mail and Times note that the Home Secretary called violent crime a “virulent disease”. They also report that the Home Secretary called for a two-pronged approach, involving limiting the opportunities for crime and reforming the lives of would-be criminals to ensure “nobody gets left behind”. The Home Secretary's speech this morning is available to read on GOV.UK. The Guardian reports that couples are being prevented from getting married and are subjected to checks as part of Government efforts to tackle sham marriages. The paper says in recent years the Government has made it more difficult for migrants to wed in the UK, in an effort to stop people using marriage to UK or EU citizens as a means to remain in the country. We are committed to a fair and humane immigration policy which welcomes and celebrates people who are here legally but which also tackles illegal immigration. 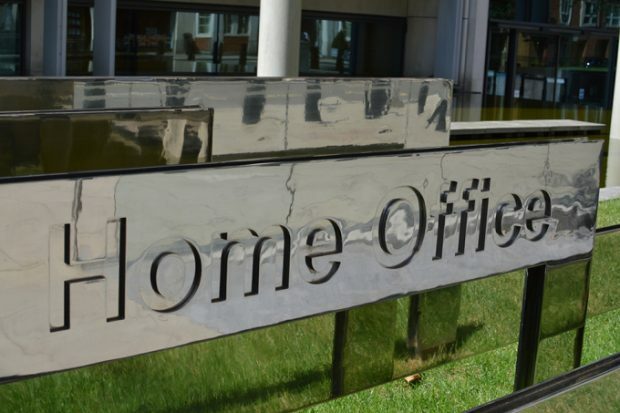 We want to ensure that family migration is based on a genuine relationship, and the Government is taking action against those who abuse marriage as a means of entering the UK illegally. Registrars are given comprehensive evidence-based guidance on circumstances that may raise suspicions about a marriage, such as certain behaviours and the level of information one party knows about another. It would then be for Home Office immigration officials to decide whether or not to investigate further.